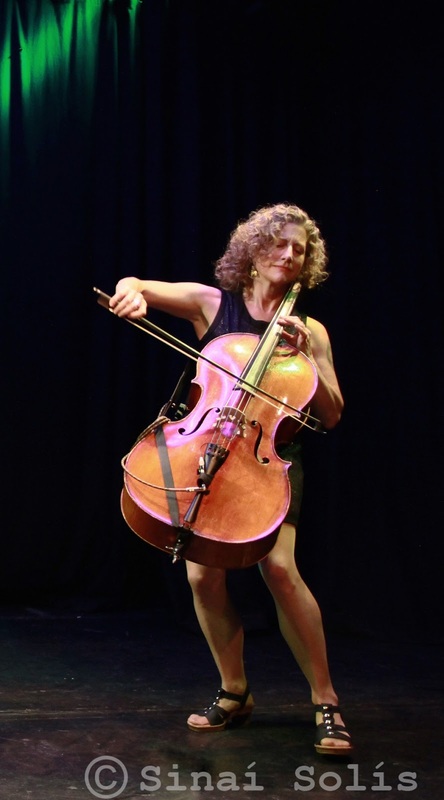 Cellist Catherine Bent tumbled off the bus, case in tow, and walked into a room full of guitar players at Rio de Janeiro’s main choro school. She had arrived the previous night in Rio for the first time and knew no Portuguese (yet). The guitarists spoke no English. Somehow, they asked her to play, and somehow, she understood. 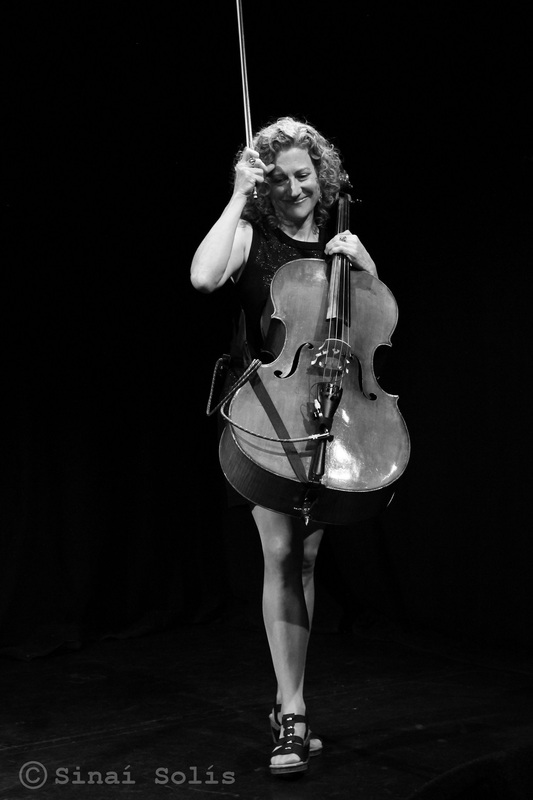 She sailed through a popular choro piece, and another, and then – her audience still attentive – she dived into Bach. A roomful of skeptics became a roomful of supporters, and she was whisked off to her first jam session over feijoada and caipirinhas. 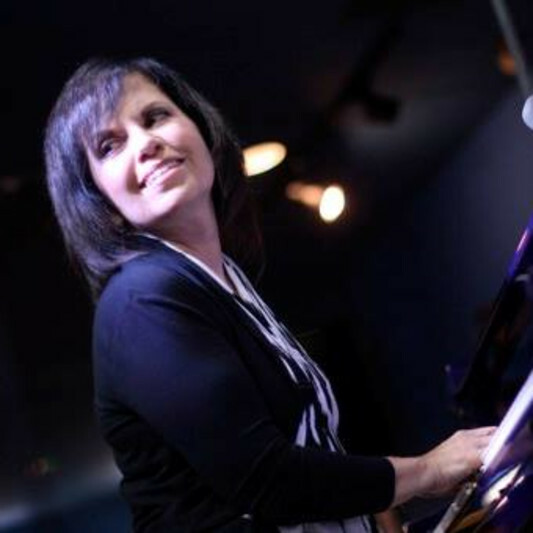 The Berklee professor has kept the tense wonder of that first encounter in her playing and composing, as her engagement with Brazil’s century-old answer to the string band grows. 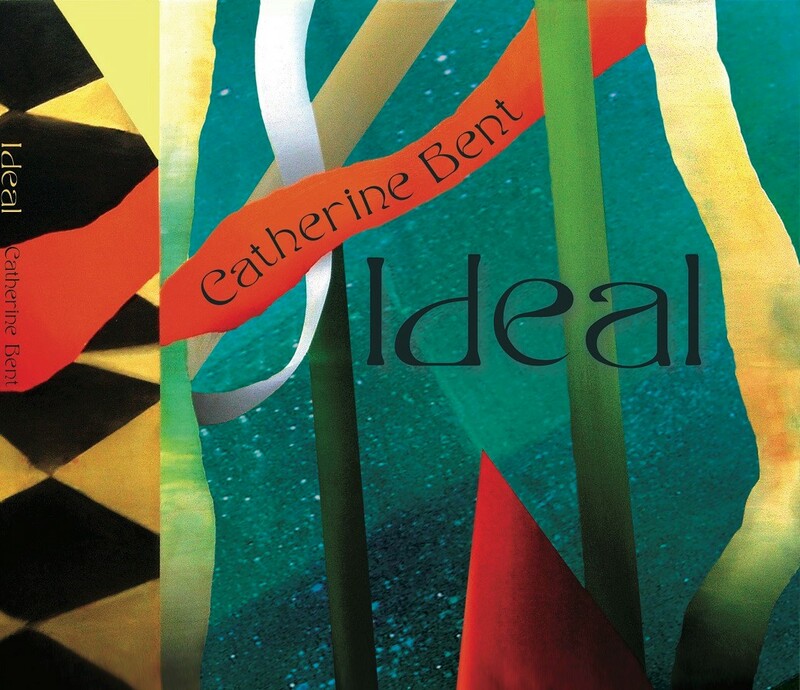 On Ideal, the first recording chronicling Bent’s choro-inspired work, she unites top-shelf Brazilian players to explore the elegant tradition and its expressive, experimental possibilities. These techniques drew her to musical styles that could make full use of strings, but that were not necessarily designed for her instrument, styles like choro. Choro developed in the late 19th century and came into its own in the 1920s and 1930s, an offshoot of European social dance music and Brazil’s unique mix of African and indigenous elements. (Bent paints a picture of its early evolution from polka to maxixe on “Quebrando Tudo.”) Choro kept the elegance of dances like the waltz or the schottische, yet transformed them with rhythmic and melodic variation, and a swing and sensuality all its own. Pieces often captured everyday moments or paid tribute to homelands their composers had left behind. 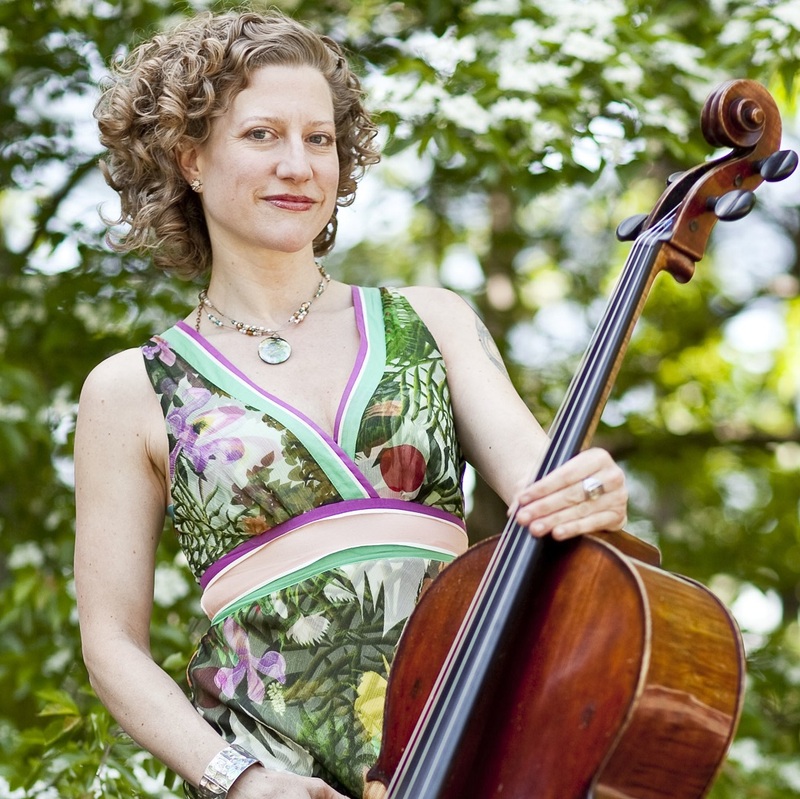 Bent first ran into choro as a grad student at the New England Conservatory, while getting her masters in jazz. “l met a flute player, half Israeli and half Brazilian. He brought a book of Pixinguinha to our playing session,” Bent remembers. “I thought at first: this is really challenging. It wasn’t written for cello. It had melodic appeal and a groove and improvisation. I took it on as a vehicle for growth.” Choro soon went from interesting exercise to intense fascination. 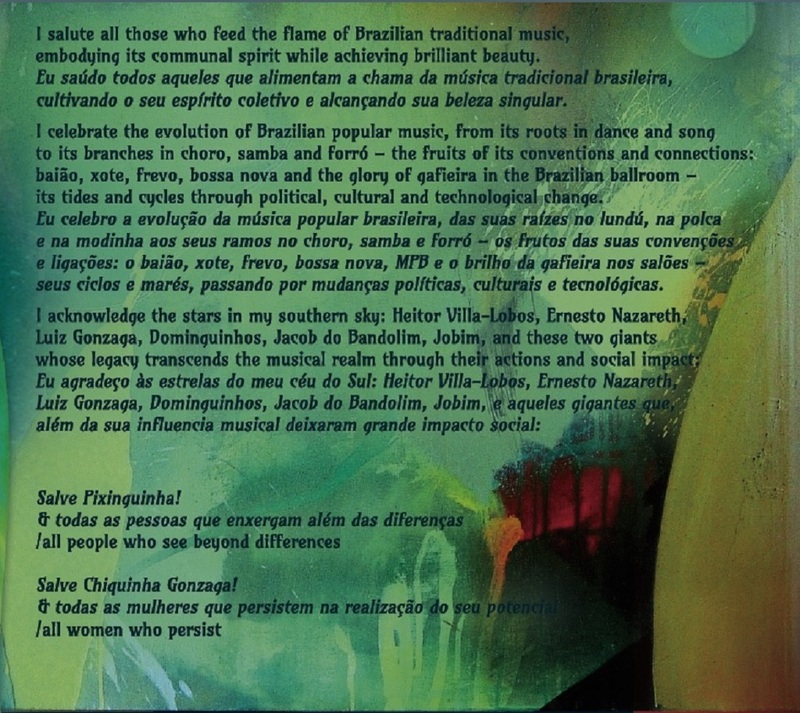 The fascination took her to Brazil, where spontaneous musical relationship arose and Bent marveled at the strange ease. It proved inspiring: “Really deep friendships started, creating more community around music than I’d felt before,” marvels Bent. “We didn’t even need to share a spoken language at first. 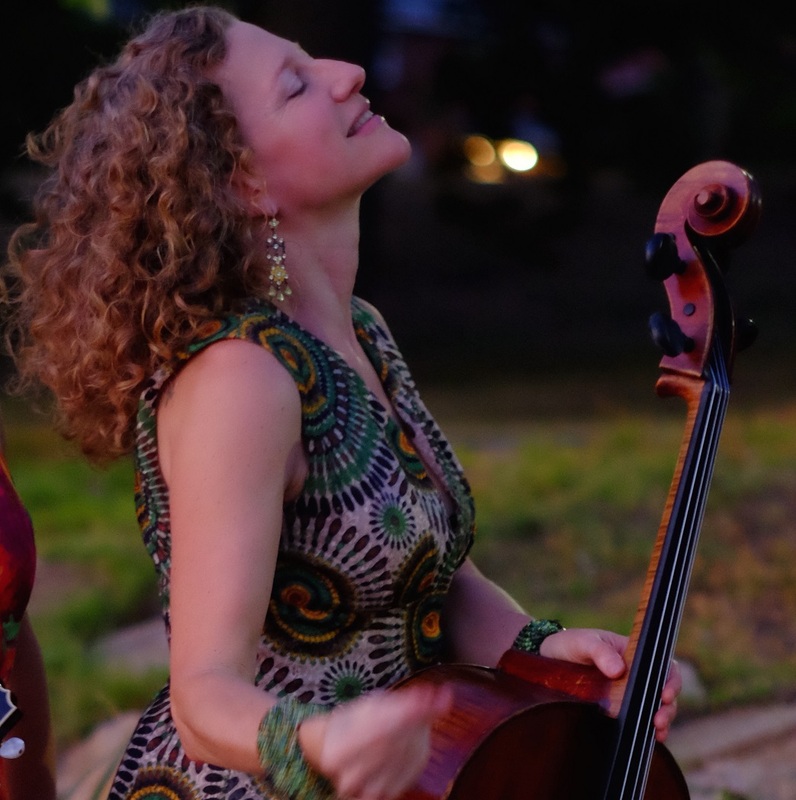 It was just the music and open-eyed trust.” Bent pays tribute to this experience of opening and embracing with “Mãos Abertas,” referring to the open-handed way her new friends shared their music and lives. After several summers in Brazil, having gained further mastery of the music and the language, Bent was hearing choro pieces in her head, often at the least convenient times, like when packing to leave for two months in Rio. 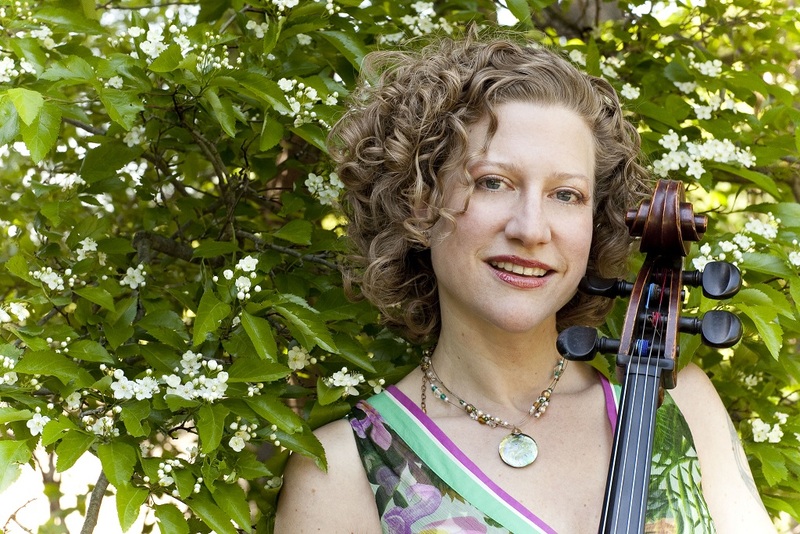 Her first composed choro, “Fazendo as Malas,” came to her amid half-packed suitcases. She found herself rushing to the piano to jot down a few more lines, a couple more ideas. 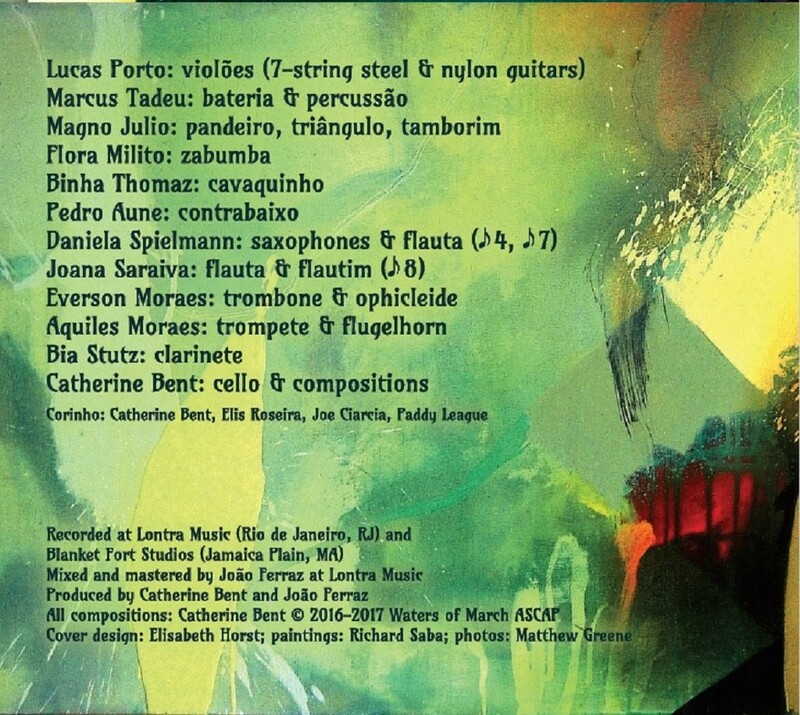 Like choro itself, Bent’s pieces often incorporate sounds and styles from around Brazil, elements of the music’s history and potential. Forró and other northeastern Brazilian rhythms inspired “Som do Seilerei,” a musically layered send-up of a disastrous yet funny soundcheck. Free jazz breaks, sinuous woodwinds (Bia Stutz’s elegant clarinet), and unexpected and delightful dialog between brass (the prodigy Moraes brothers) and cello all add twists to choro that expand the style without fully departing from it. To record, Bent turned to her most admired choro colleagues to join her in the studio. Close friend and sax player Daniela Spielmann was someone she knew had to be involved. And Bent invited guitarist Lucas Porto who, as she knew from jam sessions, was a master of both the nylon 6-string and the steel 7-string styles integral to choro. 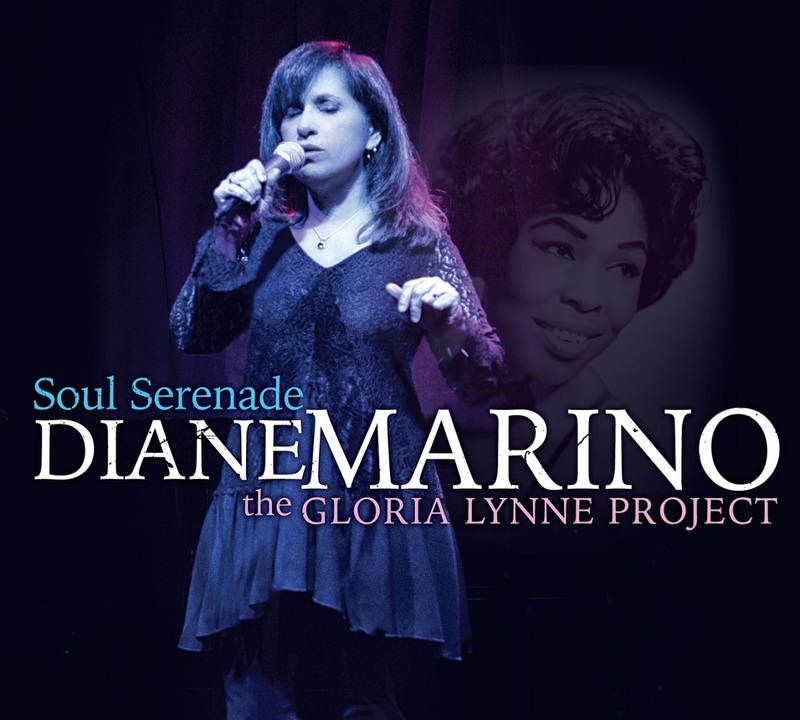 “Soul Serenade” "is the title of my newest CD project. Although not exactly a “tribute” album, it is more of a celebration of the music made popular by the great vocalist, Gloria Lynne. While performing on a recent gig with drummer Vince Ector (Gloria’s drummer for 15 years), I sang “I’m Glad There Is You”, and he reminded me it was one of Gloria’s signature songs. So, I began to research more of Gloria’s work and was instantly mesmerized by her voice, style and emotion. Additionally, her choice of material was instantly appealing to me. I tend to look for songs that are “beyond the norm” of the Great American Songbook repertoire. The songs Gloria Lynne recorded during her career stand alone in their originality and uniqueness. Her performances of these particular tunes move me every time I hear them. We're on tour this summer, and you should come and see us. If you've got this far, reward yourself with an exclusive DISCOUNT on our merch shop. How does 15% off for the next week sound to ease those GDPR blues? Head here and load up on tees, babygrows (yep), vinyl and even CDs (how retro!). Use the code GDPARGH for your 15% discount across the shop. 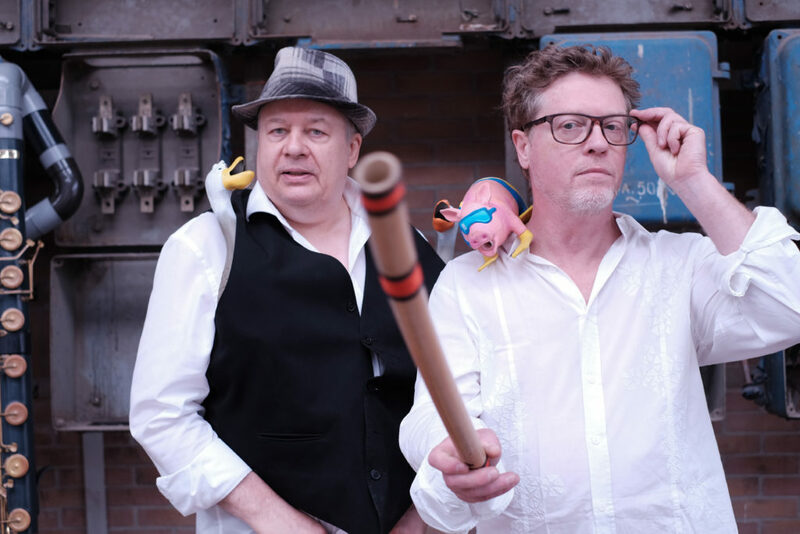 "An intimate confrontation on sly musical improvisation levels. Together, they meander between form and abstraction, consensus and dissent, dissonance and response; their special force lies in the seemingly endless variations of timbre, which take place in their dialogues. Beautiful poetry!" 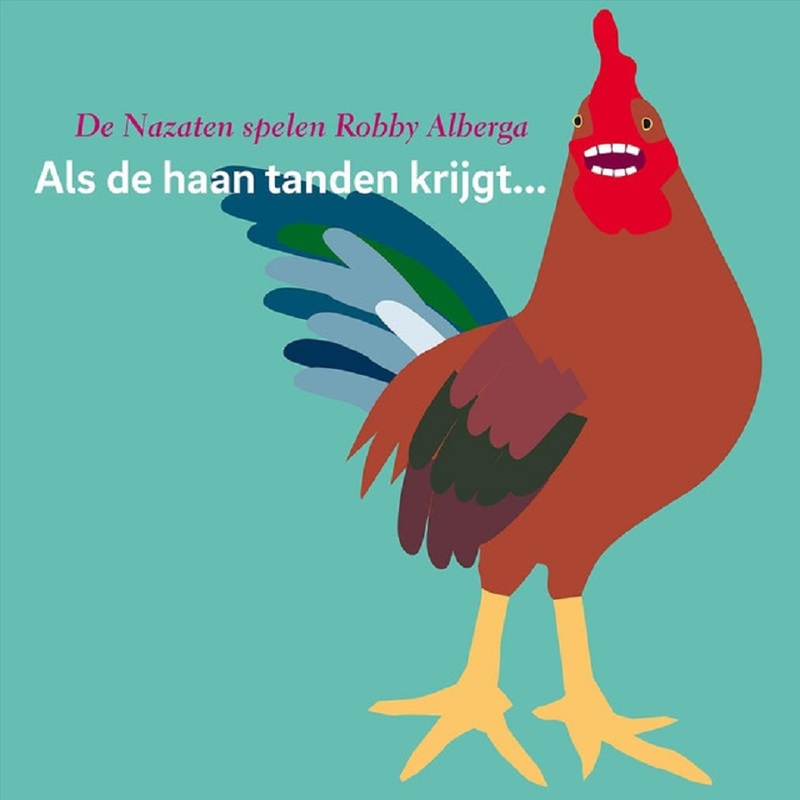 This is the sixth CD of De Nazaten and it is solely dedicated to the music of one of their original band members and composers, Robby Alberga. His versatility as composer is apparent in his ability to connect the traditions and roots of music from Guyana, the entire northeast region of South America, with the modern music of today. He utilizes the instrumentation of De Nazaten, borrowed from the traditional instrumentation of the brass bands of Suriname and New Orleans, to produce a fresh and contemporary sound, creating an extraordinary bridge between the wind and the percussion sections. 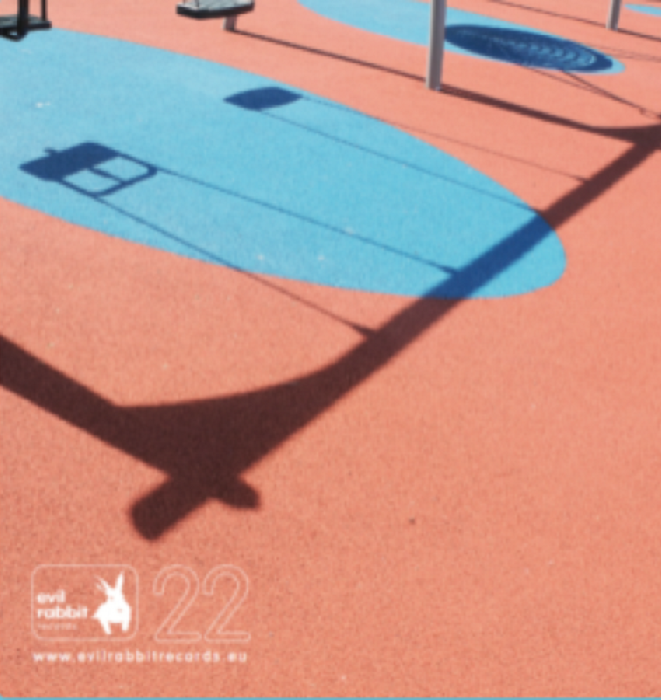 all others by Robby Alberga and Juan Navia. Arrangements for the percussion Jermaine Forster. Compositions made possible by Performing Arts Fund NL. 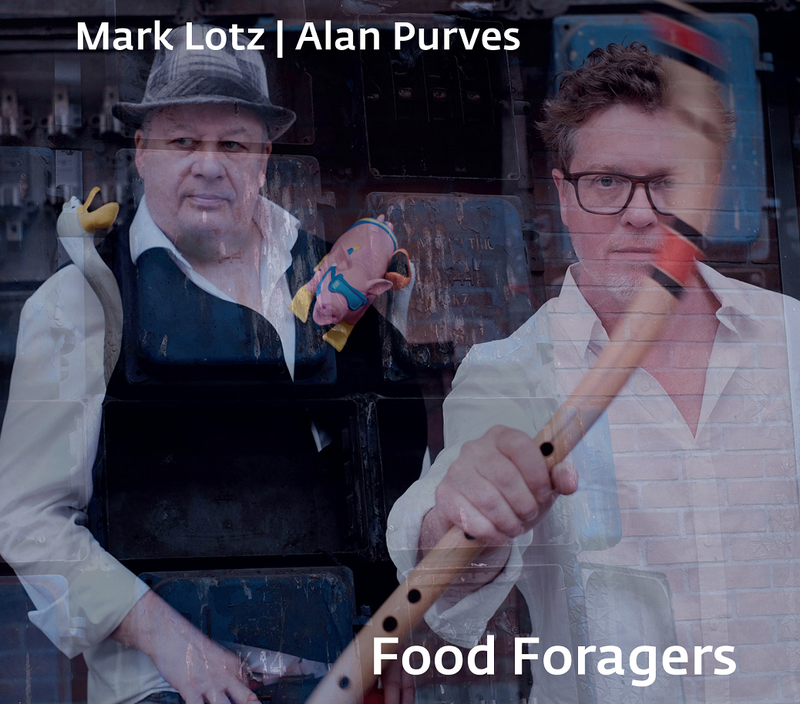 Recorded in E-sound studio Weesp by Thomas Cochrane and Marc Schots, November 2017. Mixed by Thomas Cochrane, Marc Schots and Robby Alberga, mastered by Ferry Verhoeve. CD-production DMI Records. Sleeve Hans Nieuwstraten, photos Paula Rennings and Pieter Vlamings of ppregisseurs.nl Breda and Marc Schots. 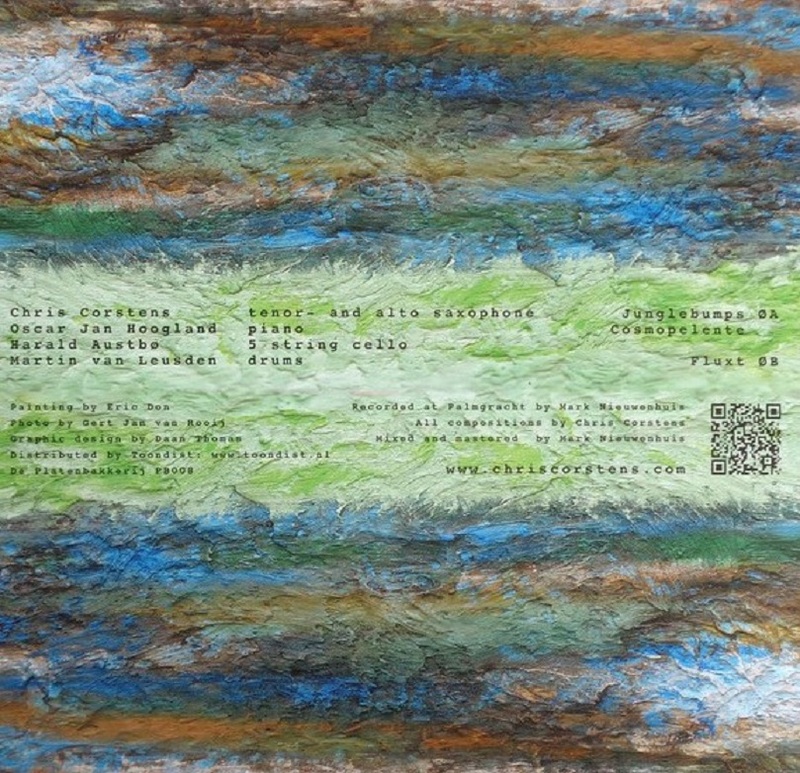 This CD was made possible by Voordekunst, the organization for crowdfunding in the creative sector and by Sena. 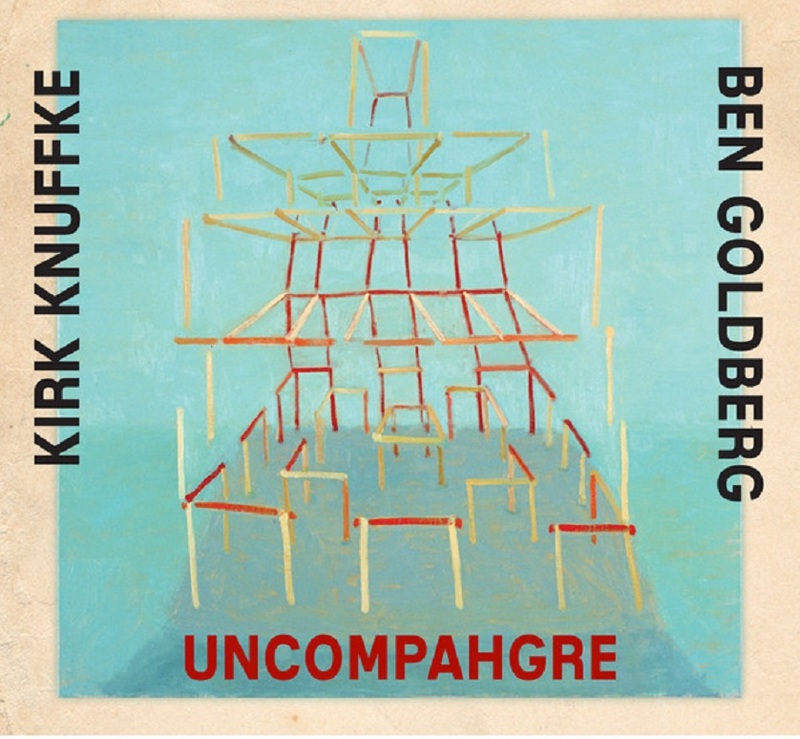 Uncompahgre (Relative Pitch 1064; USA) Featuring Kirk Knuffke on cornet and Ben Goldberg on clarinet. East (NYC) meets West (Bay area)? Over the past few years, both of these musicians have been very prolific: With ongoing and one-off projects, many disc and live sets. 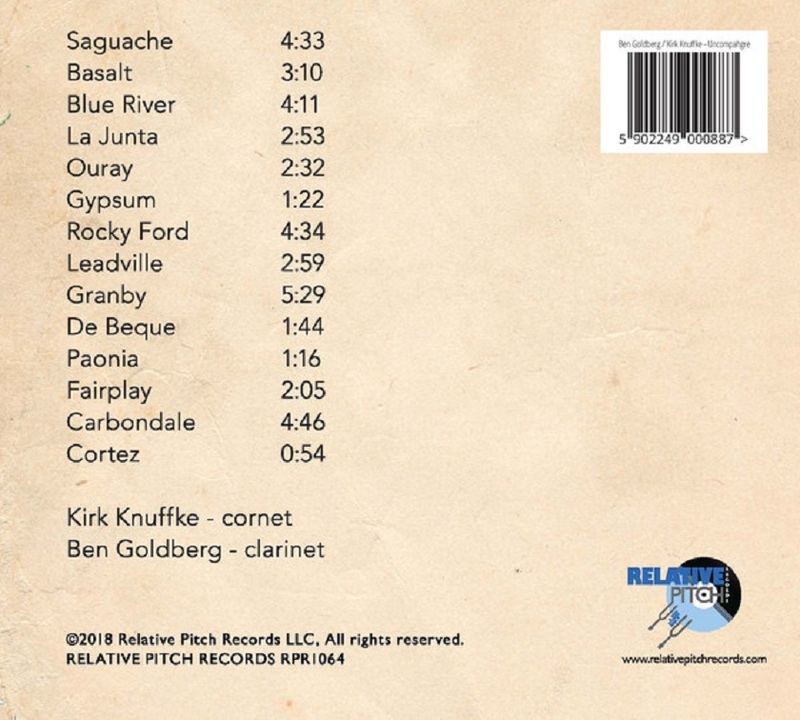 Singular cornetist, Kirk Knuffke, has recorded several great duos: Jesse Stacken, Michael Bisio and Karl Berger, as well as trios (Mary Halvorson & Matt Wilson, Jamie Saft & Hamid Drake). Not to forget his own quartets, Ideal Bread and a great quartet with Bisio, Art Bailey & Michael Wimberley. Bay area clarinet hero, Ben Goldberg, is a restless traveler and music explorer. With more than thirty recordings over the past two decades, Mr. Ben Goldberg, keeps sending us new projects/CD’s with varying personnel several times a year. Mr. Goldberg has done a few great duo discs with Myra Melford, Kenny Wolleson & Michael Coleman (aka Practioner), but he excels in the trio situation. Last year (2017) Mr. Goldberg asked to do a residency here at DMG for our free weekly in-store series. And he did five Sundays in the fall-to-winter with a number of heavy hitters: Nels Cline, Ingrid Laubrock & Tom Rainey, Tony Malaby & Billy Mintz. All great sets I am proud to say. Mr. Goldberg will be doing this again this Summer here on June 17, July 1st & August 12th. 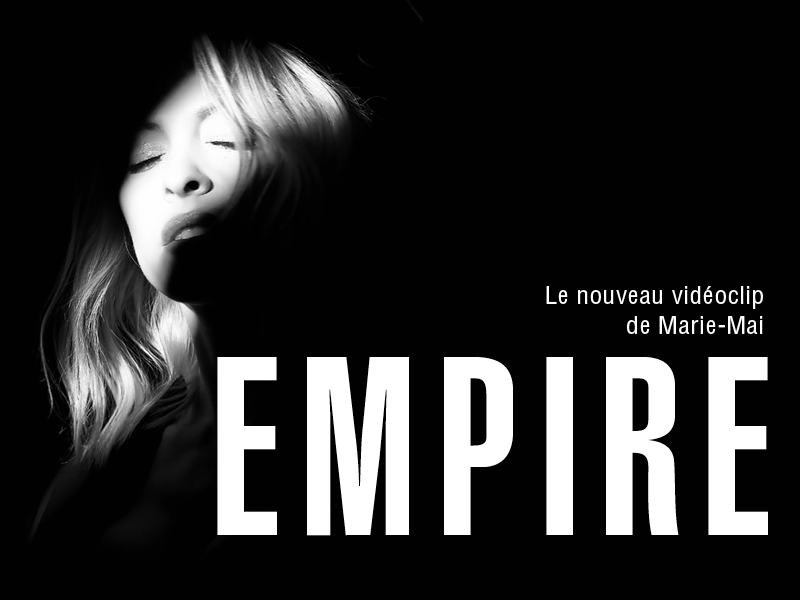 Empire, la nouvelle chanson de Marie-Mai, trouve son chemin d’une façon remarquée au sommet des différents palmarès en seulement quelques jours - #1 des ventes francophones et #2 au Top 100 BDS en 2 semaines seulement. À ce succès, s’ajoute aujourd’hui la sortie du tout premier vidéoclip de son futur album, à paraître le 28 septembre. Performance visuelle vivante, percutante et chargée d’une poésie marquante, ce nouveau vidéoclip propose un renouveau tant au niveau de l’image que des intentions artistiques. Mise en scène seule dans un décor épuré, l’artiste y est à la fois fragile, touchante, forte et assumée. Le concept du vidéoclip s’appuie sur la métaphore du passage d’un état à un autre. Cette dualité imagée par les contraste des couleurs au noir et blanc démontre bien l’opposition parfois présente entre un moi intérieur et ce que le monde extérieur perçoit. Part of pianist Satoko Fujii's "Kanreki" (60th Birthday) tour and monthly album release, the "This Is It!" Trio with trumpeter Natsuki Tamura and drummer/percussionist Takashi Itani is heard at Koendori Classics, in Tokyo, Japan, in January 2018, for an incredible album of Fujii's compositions that include quirky asides in coherent and effusive compositions. Percussion, toys and surprising sound objects meet the family of of flutes and electronics. 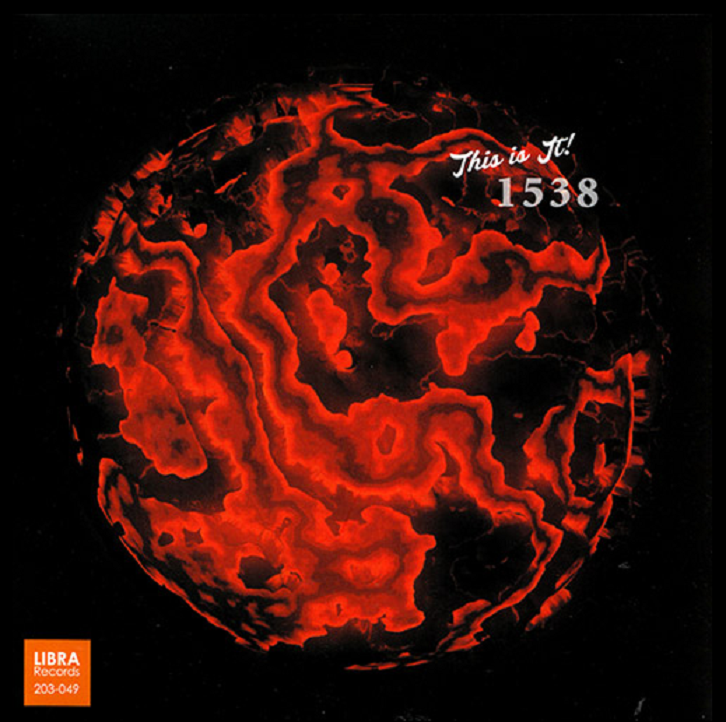 Music ranges from minimal to jazz, noise and world. 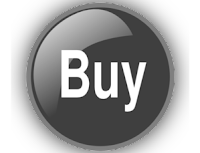 Recorded, mastered and edited by Björn Warning, Warning Studio, Amsterdam at. June 12 & 28, 2017. Track 5, song Djarabi from Mali (traditionally arranged by Lotz/Purves). This track ‘Abu In The Sky’ is dedicated to the memory of Abu Dijgo (Aboubecre Diougo). Track 11 has some of the traditional melody Bitique from Mali. 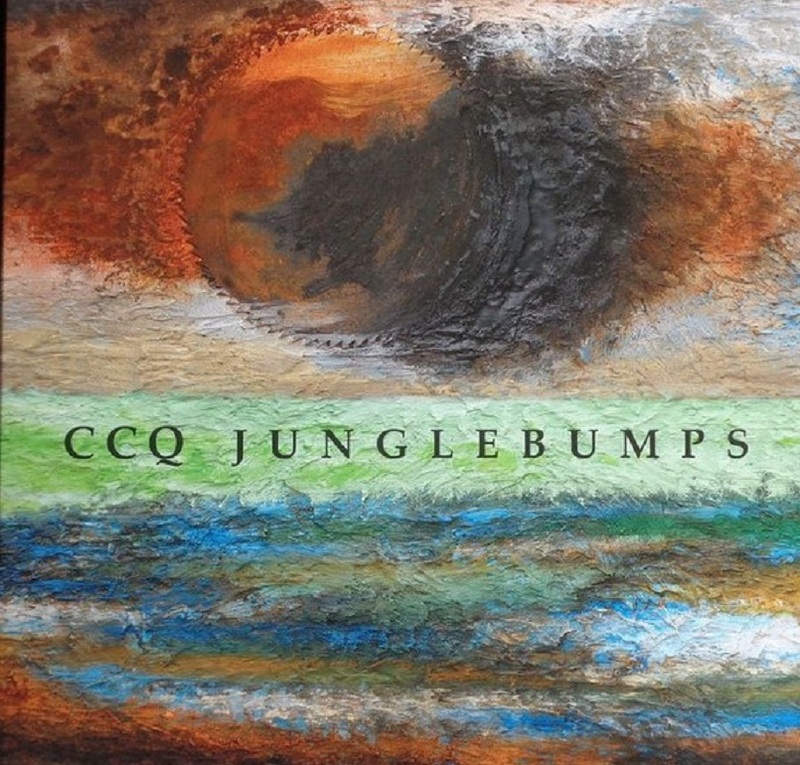 Track 2 is inspired by Chick Corea’s Children Songs. It is a composition for the silent movie ‘The Endurance’ by Frank Hurley, documenting the Endurance Expedition to the Antarctica led by Captain Ernest Shackleton in 1914-17.